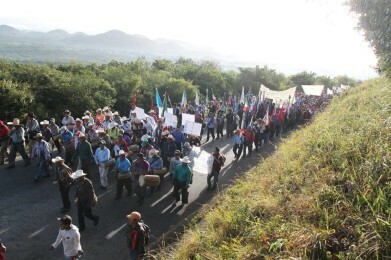 On November 25, after a 12-day walk through 11 indigenous municipalities in the North, Jungle area and Highlands of Chiapas, thousands of pilgrims arrived in San Cristobal de Las Casas, where they denounced the threats and insecurity that they live with in the villages where they come from. They declared: “We walk to unite with one voice, to give voice to the earth that calls for respect and protection, which demands from all an attitude of care and gratitude. 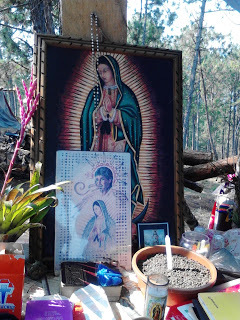 This pilgrimage has been a moment of grace for us, because we have been able to converse, reflect and dream as one people.” They emphasized that as indigenous peoples they feel that their community belonging to Mother Earth “is our spirituality, so we believe that not only do we have to denounce the destruction of our territory by the ambition of extractivists, but we must take care of it. That is why strengthening our community roots is the way to take care of our common home.” In Oxchuc, a community torn by post-electoral conflict, the pilgrims also spoke of their right as indigenous peoples to govern themselves. 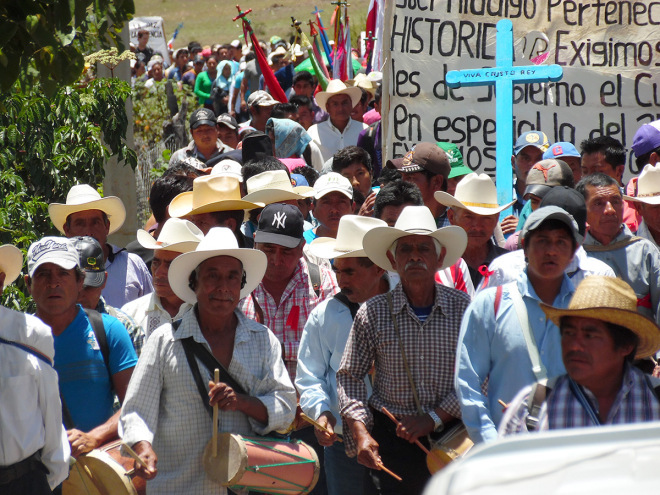 On June 6, around 2,500 members of the Believing People of El Bosque went on a pilgrimage to demand attention to the problems experienced in the region such as violence, corruption, drug trafficking, lack of basic services such as access to health and potable water. They asked the three levels of government “to put a stop to all the injustices that are on top of our communities, pueblos, and cities,” the “no repetition of events such as the murders of Chabajebal, San Pedro Nichtal-ucum, and Unio´on Progreso, municipalities of El Bosque, Chiapas. 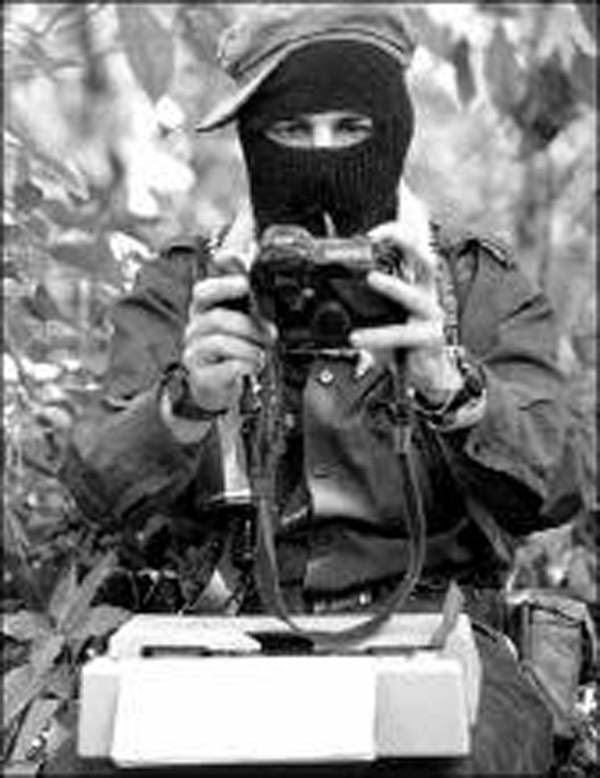 As well as massacres like Acteal, Ayotzinapa, Guerrero, Aguas Blancas, etc.”; “a stop to forced disappearances of men, women, and children; a stop to repression”; “a stop to to the imprisonments of human rights defenders and innocent people”; “the presentation with life of all the disappeared persons of the country”; “justice for the deaths of the children murdered by the IMSS from the community of Pimienta, municipality of Simojovel, Chiapas”; and the immediate liberation of all the political prisoners and unjustly imprisoned. 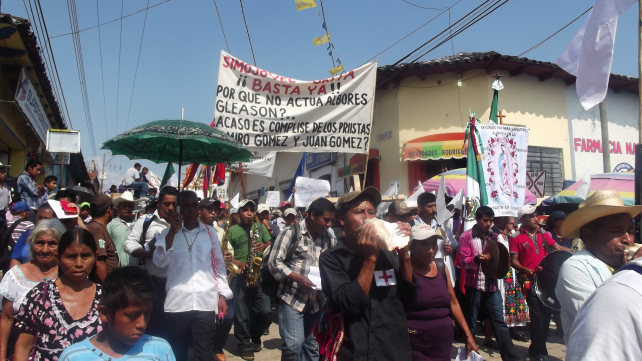 Participants of this march were members of the Believing People of the neighboring municipality of Simojovel, who maintain demanding justice for the death of Yadira González González and Emmanuel Francisco López, the babies who died in La Pimienta after the application of vaccines from the IMSS last May. 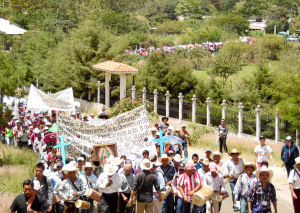 On 23 May, some 2000 people, including residents of the La Pimienta community and members of the Believing People, an organizational process that pertains to the San Cristóbal de Las Casas diocese, carried out a pilgrimage from Simojovel to said community where two children died recently, with another 29 hospitalized, after the application of immunizations. 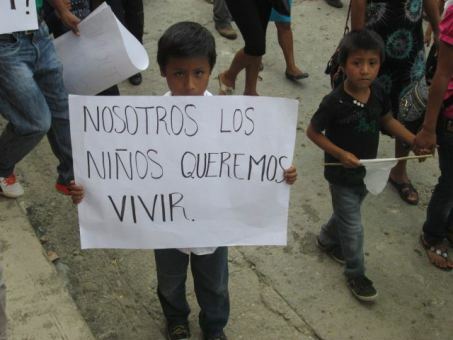 The objective was to protest against the public-health institutions, and to denounce the offer of compensation of 5,000 pesos from the state government to the families of the 31 affected children.